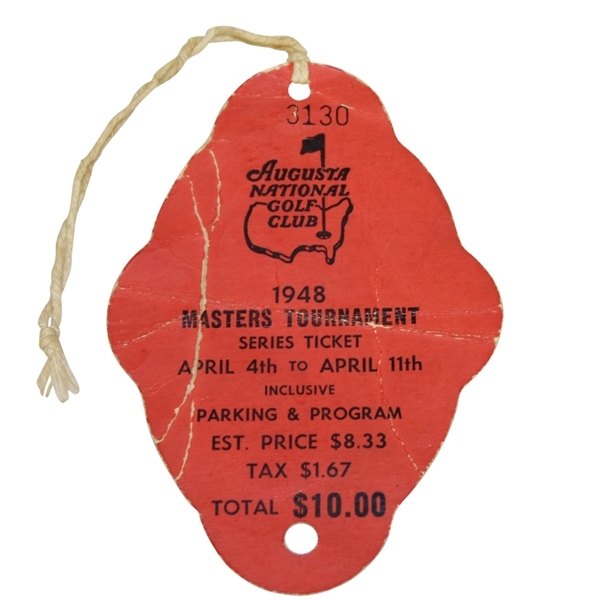 Offered here for bidders is a 1948 Masters Tournament series badge #3130. The original string is attached, a hole punch is present, as well as multiple crease. Please refer to photographs. 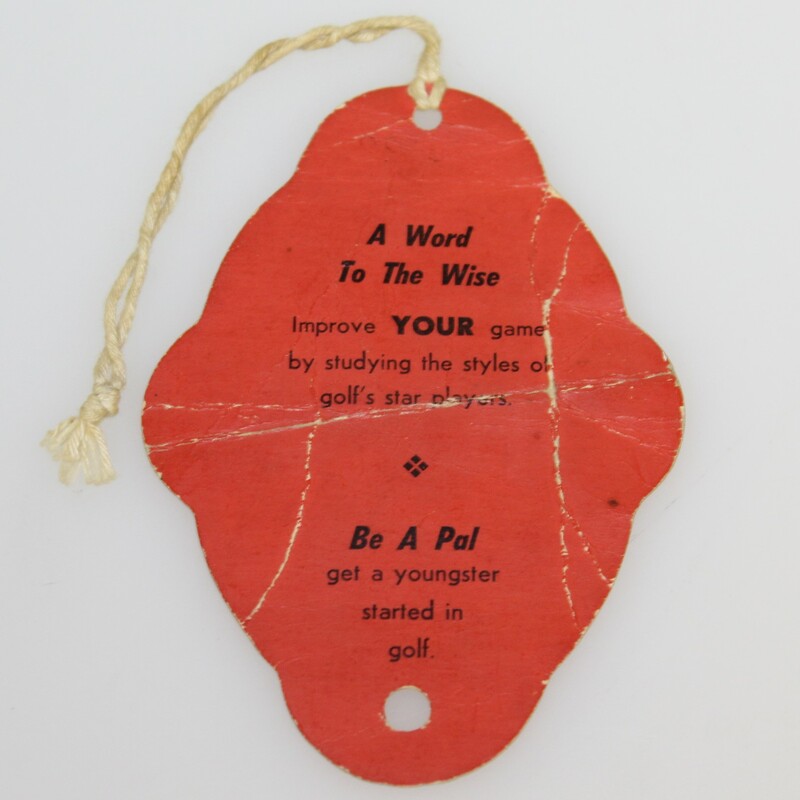 This series badge was on the scene when Claude Harmon became the only player not on the regular PGA tour to ever win the Masters. In the process Harmon tied the then low score for the Masters with 279. His margin of victory over Cary Middlecoff, in second place, was 5 shots, and this stood as a record until 1955 when Middlecoff won by 7. 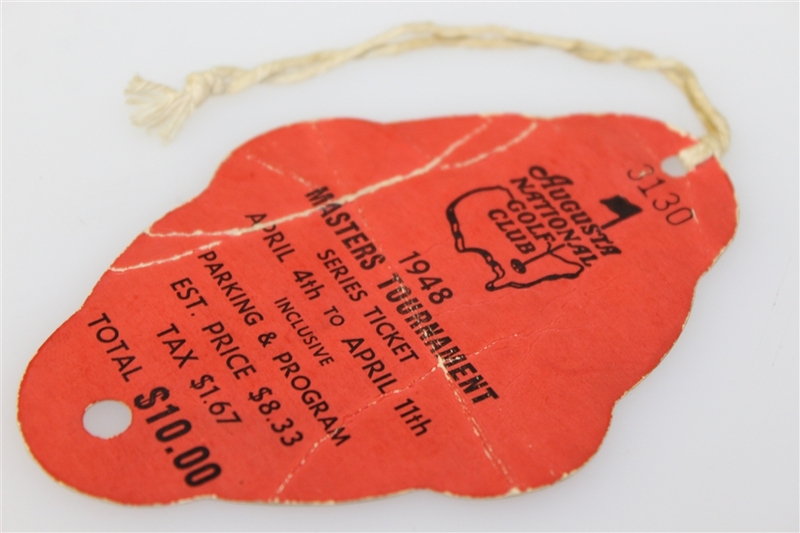 This was also the last Masters that Bobby Jones played in.